Today as Versailles – an all day excursion to the country estate of the Sun King, Louis XIV. We had to take the Metro to the next station to catch the train. I thought I was being smart by buying a round trip ticket (keep reading to the end to find out what that is not a good idea). The train had a stop at Versailles-Chartes, but that was not the name in my guidebook. So we missed our stop. No big deal – just go to the next stop and wait for the other train to take us back. But the wait seemed infinite…and I needed coffee…deep sigh. It finally came and we arrived in Versailles-Chartes, a small city that revolves around the Palace. Only problem was that their signs were non-existent and my guidebook did not include directions on how to get to Versailles (the Palace, not the city)…deep sigh. This was going to be one of those travel days. Or not. We started walking and following the crowd, and after 20 minutes and several turns — eh voila! Versailles! Going through Versailles after just seeing the Louvre was a bit of overload on French decadence. Plus the crowds made it difficult to see the rooms (greeting, guard, chamber, royal bedroom, conference, etc.) The Hall of Mirrors was amazing but we were drawn more to the gardens. The gardens of Versailles dwarf the Palace. On the map, the actual building is a small part of the entire estate. Marie Antoinette had her own set of apartments about 1 mile from the Palace, and you have to wonder how many times she retreated to the peacefulness of her special haven when they were in residence. We bought tickets for the Petit Train, which is well worth it. It is a hop-on-hop-off form of transportation that becomes quite convenient later in the day. It takes you through the grounds and to the Trianon and Petit Trianon, the Grand Canal and back to the Palace. One of the many paths you can enjoy on the grounds of Versailles. We decided to rent bicycles and that made up for the previous missteps. If you ever go to Versailles, you can rent bicycles in the middle of the Grand Canal and ride for miles and miles. People are picnicking on the banks of the Grand Canal, others are in row boats on the water, and the pedestrians and bicyclists add symmetry and motion to the entire scene. The freedom of movement that comes with riding a bicycle in beautiful forests was memorable and made this day special. We stopped for a gelato at one of the small vendors and had our picnic on the grounds. Just to imagine the life that the people had was amazing. Remember, it was so decadent that it sparked the French Revolution! Walking back to the train station, we took a wrong turn and got lost. After several conversations with extremely nice strangers who could barely speak English, we found it. As we walked through the turnstile at the Train Station, the gates refused to open. Another kind stranger looked at our tickets and announced that they had expired! The lovely woman I had bought the round trip tickets from that morning had sold me the return trip to take place later that morning, not later in the afternoon. So it had expired. After grumbling about buying the same thing twice, we finally got on the train and headed for home. 3. Do not check your backpack at the Louvre. If you have food or drink, just wait until you get back outside. 4. Buy a ticket on the Petit Train – it takes you to the other sights that are part of Versailles and it gives you a convenient way to get back to the Palace after you have completed your tour of the grounds. The train picks you up just feet from where you rent the bicycles, so it makes for very easy way to get out of Versailles and back to where you need to be. Versailles was definitely an adventure. But we were more than ready to get back to Paris. There is so much to learn in becoming an adventurer. What a fabulous way to spend your day engulfed in the French history. Looking forward to seeing some of the pictures of the palace, etc. 1. The waiting times are massive, even on quiet days, so considering staying in Versailles and going to the palace early in the morning. 2. Read up on the palace and the people associated with it before you go. It will give you a much bigger appreciation of your visit. 3. Although it is tempting, do not take pictures of literally everything in the palace, most of it is already online anyway. Try to take in and appreciate the art and history, you are walking in the footsteps of many important people and events. Thank you for your added tips. 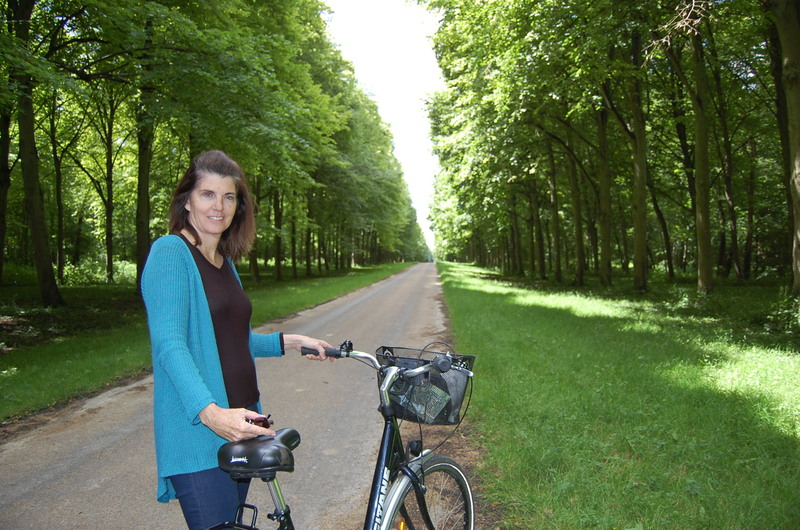 Versailles is such a huge attraction (physically & historically) that you have to go prepared. When we arrived home, we discovered a free movie on NetFlix about Marie Antoinette. It was filmed at Versailles and paints a visual portrait of their life there. I wish we had seen the movie before we made our trip, because it would have made the rooms seem more alive. I was distracted by the crowds and the insistent photographers.